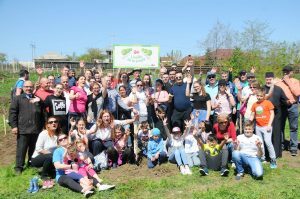 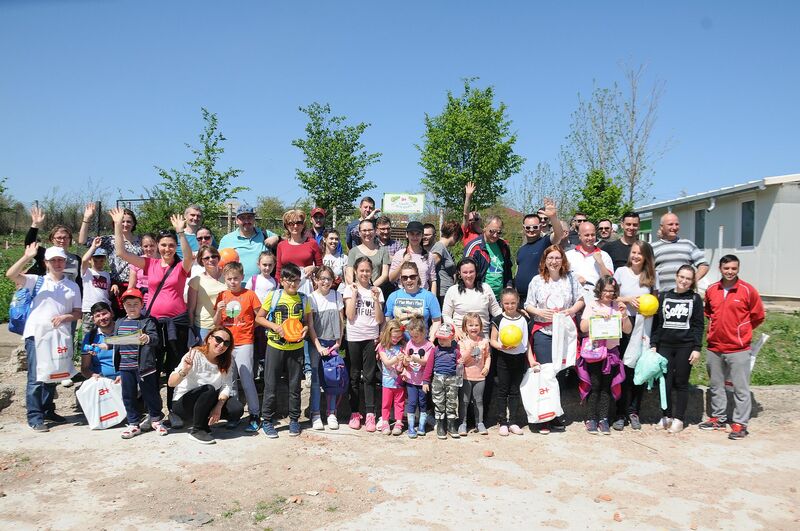 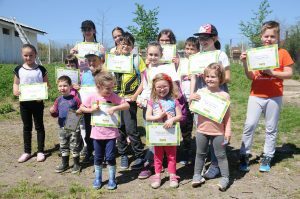 On Saturday, April 21, 2018, over 70 Antibiotice volunteers were involved in the “School Orchard” project, developed by the Antibiotice Science and Soul Foundation, and planted 200 fruit trees at the schools in Leţcani and Cogeasca. 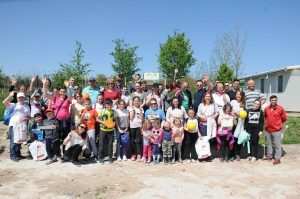 In the second year of the project, the Antibiotice volunteers, employees of the company together with the families have proposed to plant in two stages, 400 fruit trees at the schools in the neighboring localities: Leţcani, Cogeasca, Bogonos and Rediu (apples, plums , cherries, cherries). 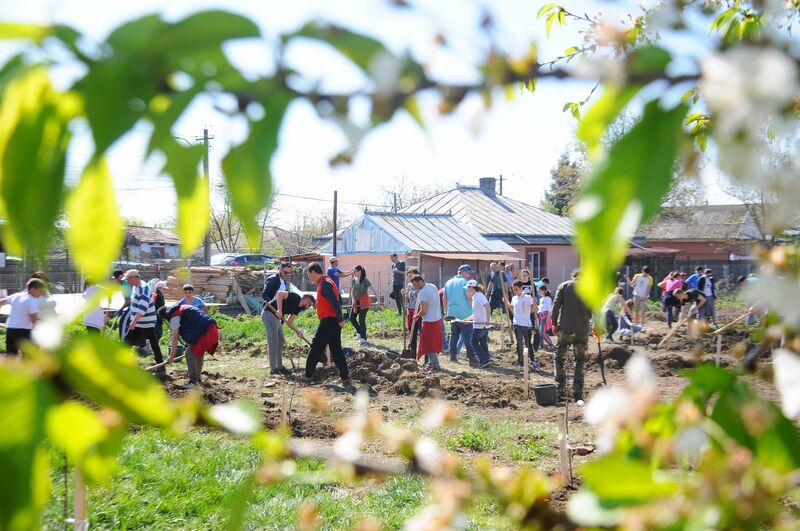 “We launched the third edition of the “School Orchard” social responsibility project. 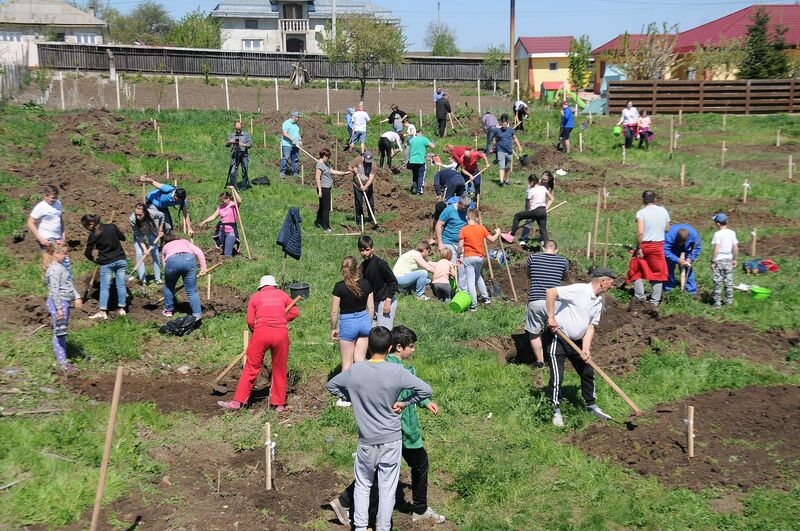 We believe in the power of the deed that is in our power, and today, 70 Antibiotic volunteers planted 200 fruit trees. 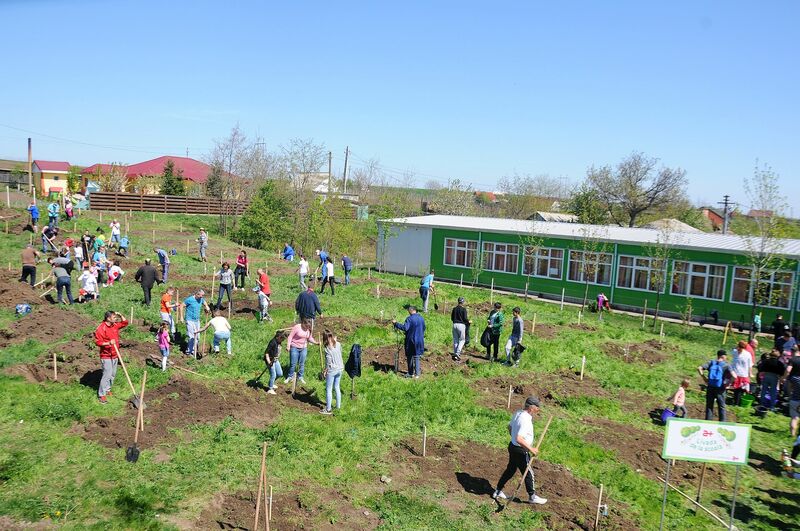 Since the launch of the project, “Livada de la şcoală” has taken root in seven schools in Iaşi County. 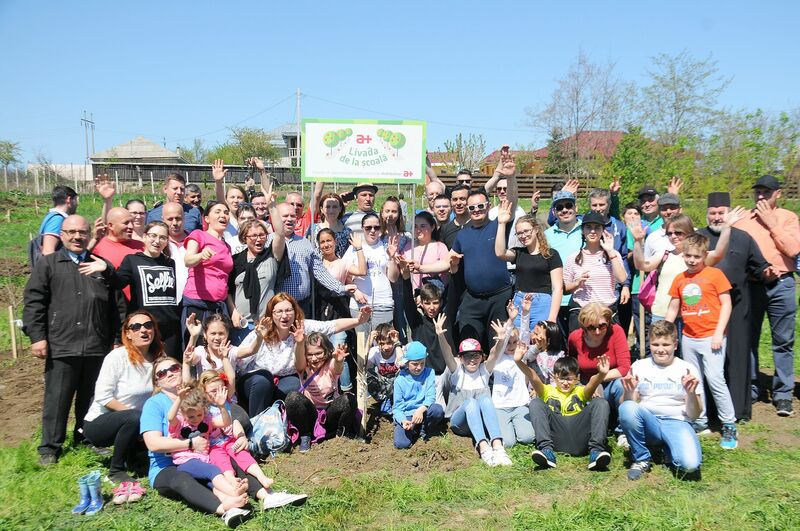 Through this project, Antibiotice employees engage voluntarily and try to inspire the young generation to respect for the protection of the environment, to cultivate the civic spirit in the community, thus contributing to the sustainable development of society, “said Mihaela Melinte, Counselor of Antibiotice Communication. 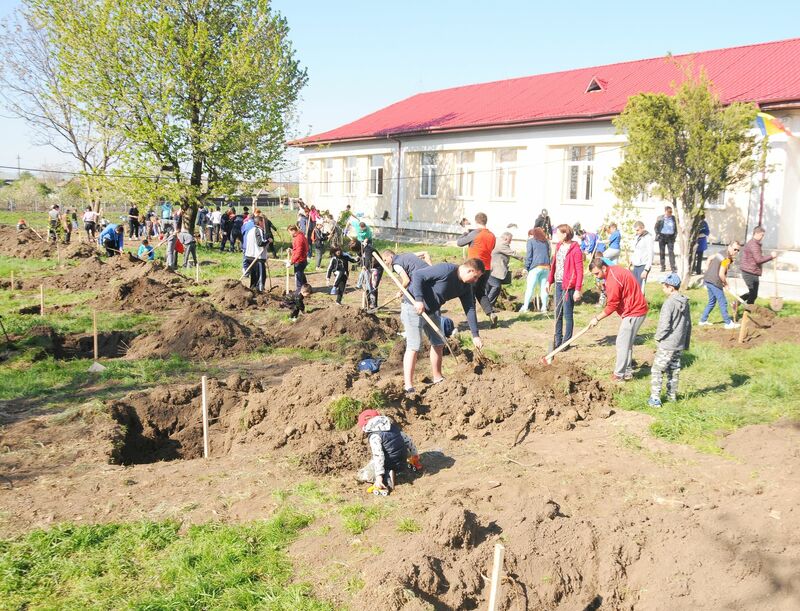 The first planting stage was carried out in partnership with the Leţcani Town Hall, which provided the grounds in the yard of the schools and supported their arrangement. 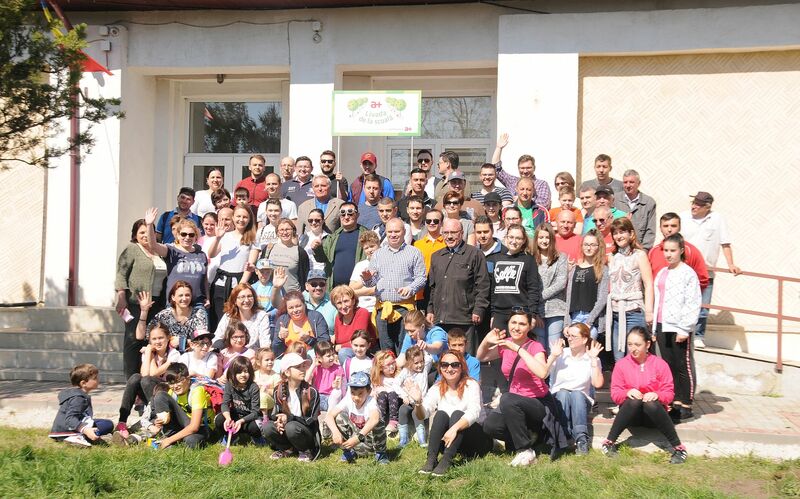 “I am delighted that we are partners in this community-led project by Antibiotice. 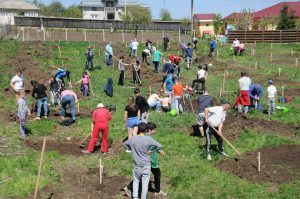 I believe that each school should have an orchard, and this initiative is particularly useful and should be a national example, ” said Stelică Turcu, Mayor of Leţcani commune. The Antibiotice volunteers together with the pupils from the two schools were advised by the representatives of the Research and Development Plant for Iasi for Fruit Growing in order to meet the standards of planting fruit trees correctly.